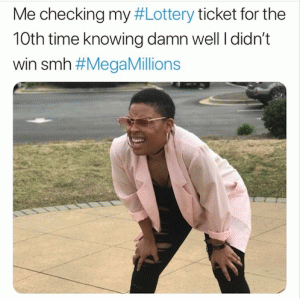 In my mind, if I hit the lottery I would pay off my car, students loans, and credit cards Just so that I didn't have anymore revolving debt. 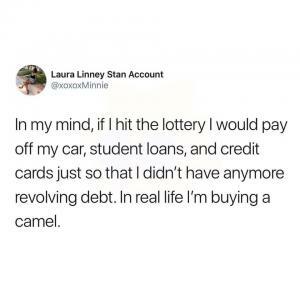 In real life I'm buying a camel. 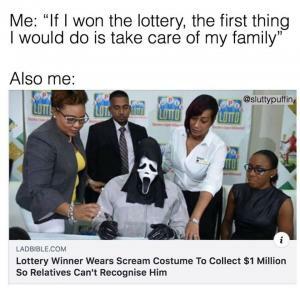 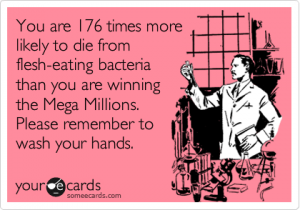 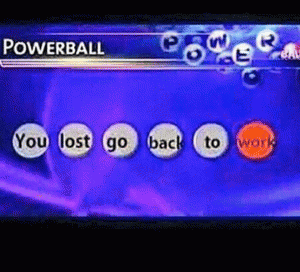 Me: "If I wont the lottery, the first thing I would do is take care of my family"
I wont $2.00 in the Mega Millions lottery. 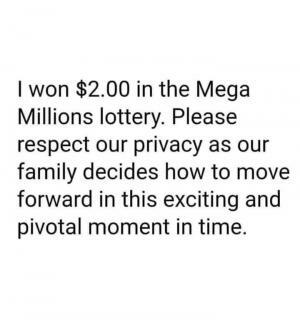 Please respect our privacy as our family decides how to move forward in this exciting and pivotal moment in time. 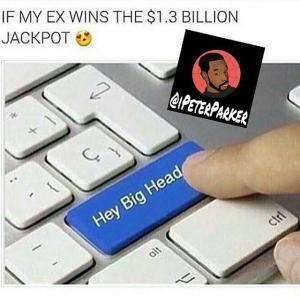 What are the odds? 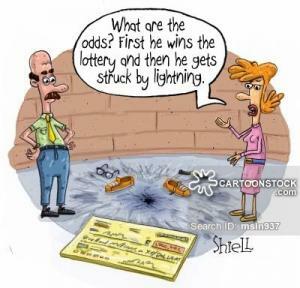 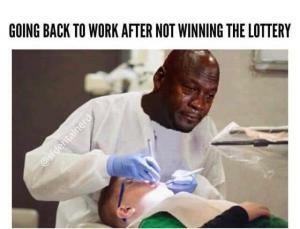 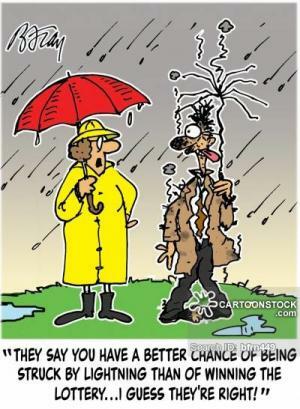 First he wins the lottery and then he gets struck by lightning. 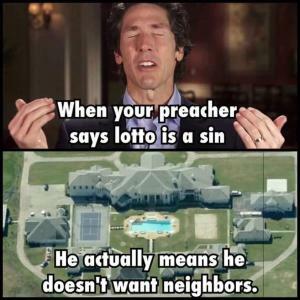 He actually means he doesn't want neighbors. 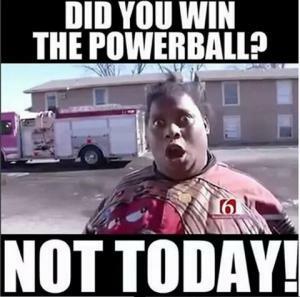 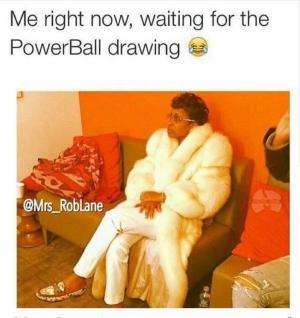 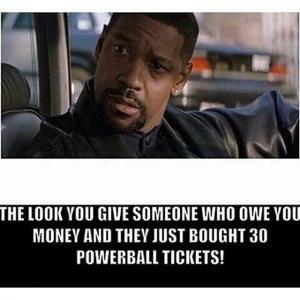 The look you give someone who owe you money and they just bought 30 powerball tickets!